Two tech giants, Samsung and Sony, are now trending on the market of Smartphones because of the tough comparison. While everybody craves to have the best phone, comparisons are made to distinguish which is the best phone that buyers should grab. Here is the detailed comparison of Samsung Galaxy S5 vs. Sony Xperia Z2. Galaxy S5 and Xperia Z2 are no doubt the best Smartphones available on the market today. The two phones come with unique designs and manufactured from different materials. Samsung Galaxy S5 is manufactured using the finest quality plastic material that makes it very lightweight. It comes with perfect sealing featuring its water and dust resistant attributes. 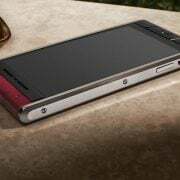 On the other hand, Sony Xperia Z2 is crafted using excellent glass and Aluminum metals on a very strong built, though it might be a little heavier than the Galaxy S5. The same with S5, Z2 also comes with delicate sealing that makes it also resistant to dust and water. Galaxy S5 has dimpled finish on its back to provide users a good grip while Z2 comes with a smooth finish which makes it very handy. Comparing dimensions, there is only a little difference. S5 has a dimension of 8.1mm x 142mm x 72.5mm weighing 145g while Z2 has a dimension of 8.2mm x 147mm x 73.3mm with a weight of 163 grams. Thus, S5 is 20g lighter than Z2. Comparing design and built, both are exceptional. Samsung Galaxy S5 has a 5.1-inch screen display while Z2 has 5.2” screen display with both having 1080P screen resolution. The big difference goes forth on the display technology used. S5 uses Super AMOLED display that is highly suitable for any kind of lighting. It is good even in extreme daylight. On the contrary, Z2 uses an upgraded LCD display on blue backlights to enhance color balance. From the deep comparison, S5 is a lot better as its screen is readable even in dazzling daylight and glares. Galaxy S5 comes with a 16MP ISOCELL camera with LED flash while Xperia Z2 comes with a 20,7MP camera sensor with LED flash. The very important thing that everyone should be aware of is that Z2 only has a20.7MP sensor and does not produce 20-MP shots. 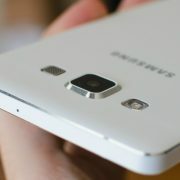 It only produces an 8MP photo shot as the remaining pixels from the 20MP is intended only to enhance captures. From a comprehensive camera test, Samsung Galaxy S5 is found to have better captures than the other as it provides clearer details. While both are known as the powerful phones of 2014, everybody will get puzzled of which to buy. S5 and Z2 both use Quad-core Snapdragon 801 chips. But there a difference that everyone should look deeper. S5 clocks on 2.5GHz while Z2 on 2.3GHz. Another thing is the RAM. S5 only has 2GB RAM while Z2 has 3GB RAM. Their difference contributes a lot to speed and performance that any buyer should be keen about. Either of the two phones, buying will always be of good value because of quality. 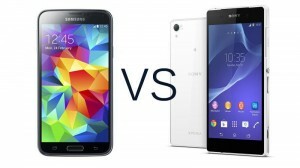 Related –Samsung Galaxy S5 vs. HTC One M8: Which is the best mobile phone for 2014?